2NDS. 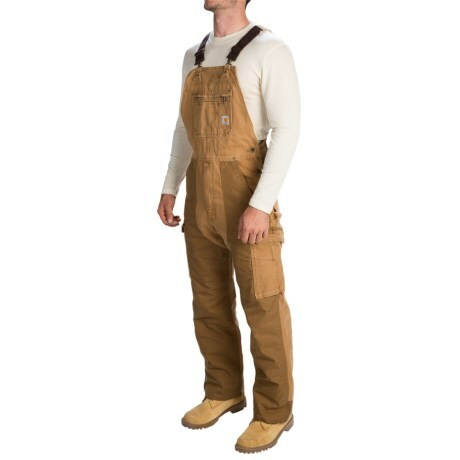 Carhartt Double Barrel bib overalls provide rugged protection for your lower half on tough jobs. They have a reinforced double-front and back leg kick panels for extra durability. Available Colors: CARHARTT BROWN.